News Flash: Chocolate is Healthier Than Broccoli! 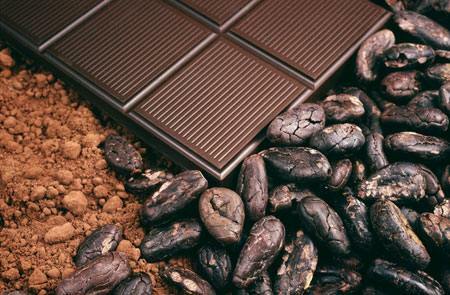 Over the past few years, you’ve probably heard about the health benefits of chocolate. However, before you go making conventional chocolates a staple of your diet, it’s important to understand that the health benefits are mainly due to special compounds called flavonoids that are found most abundantly in organic, raw chocolate. Flavonoids are natural nutrients with antioxidant properties. In fact, raw, organic chocolate is one of the most antioxidant-rich foods in the world. Ounce for ounce, it has five times more antioxidants than blueberries, ten times more antioxidants than spinach, and close to fifteen times more antioxidants than broccoli! 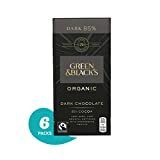 Unfortunately the majority of chocolates on the market are not the best choices for optimally supporting health because most of them have been processed. The more chocolate is processed, the fewer flavonoids it retains. Fewer flavonoids translates to less antioxidant content and less potential health benefits. Processed chocolate becomes even less healthful due to the addition of refined sugar, milk, and oils. Your best choice is raw, organic chocolate that has no added ingredients. 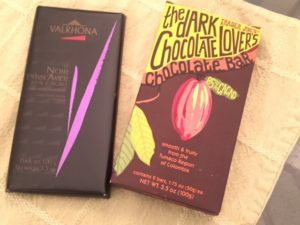 Your next best choice is dark chocolate with 70% or more cocoa content, but this ranks a distant second to raw chocolate, since conventional dark chocolate is exposed to significant heat and processing. The worst choices are milk chocolate and white chocolate. Most varieties of milk chocolate have only about 25% to 50% the flavonoid content of dark chocolate, and white chocolate has no flavonoids. Raw chocolate is chocolate in its purest form; it’s nothing but pure cocoa (cacao) beans which are dried, then cracked to remove the “nibs” (the center of the cacoa bean). To make raw cocoa powder, the nibs are pressed to extract the cocoa butter, leaving a dense, rich, and bitter substance called chocolate liquor. Despite the name, this substance does not contain any alcohol. After drying, the chocolate liquor is ground into powder form. 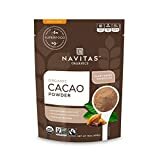 Raw cacoa nibs and raw cocoa powder are sold in natural food markets, or can be purchased on-line below. “At least most of it is good for you,” Dee says.